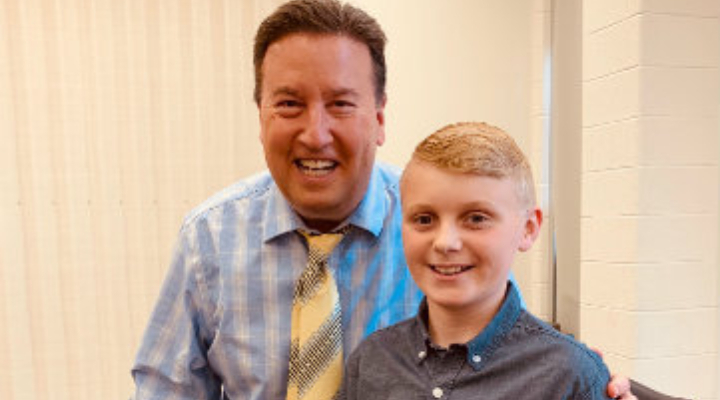 Watch St. Joseph School student, Mitch, featured on WMAR-TV on April 10. 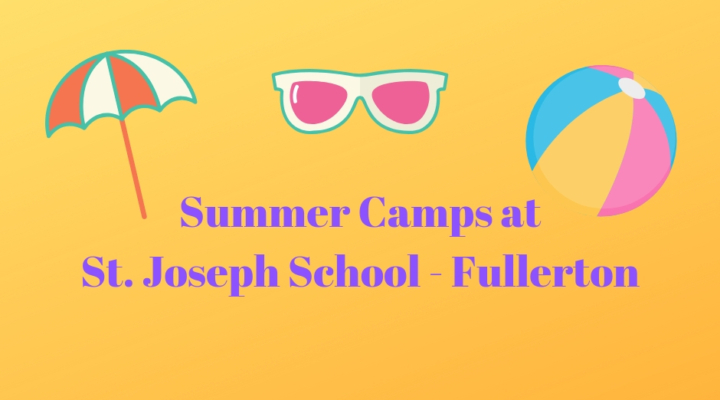 Sign-up today for Summer Camps being held throughout the summer at St. Joseph School - Fullerton. We are excited about Catholic Schools Week! Find out about the fun activities we have planned to celebrate Catholic Schools! Click here to view results of recent water testing in the school. Want to get more involved, but unsure how? SJS is a great place to share your skills. Please complete the survey to share with us your talents. 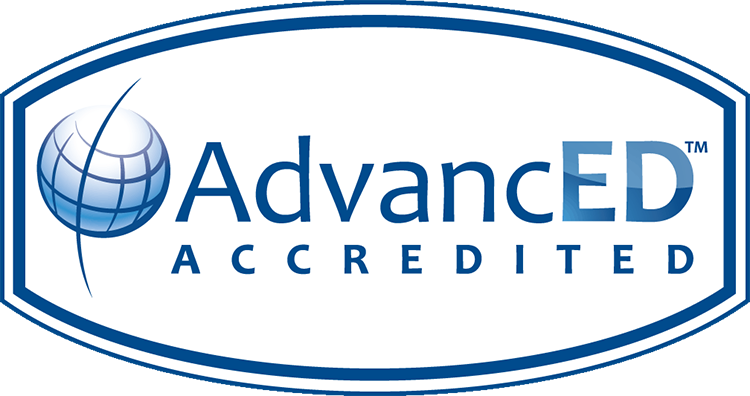 We encourage you to share this link with anyone that wants to help SJS grow. 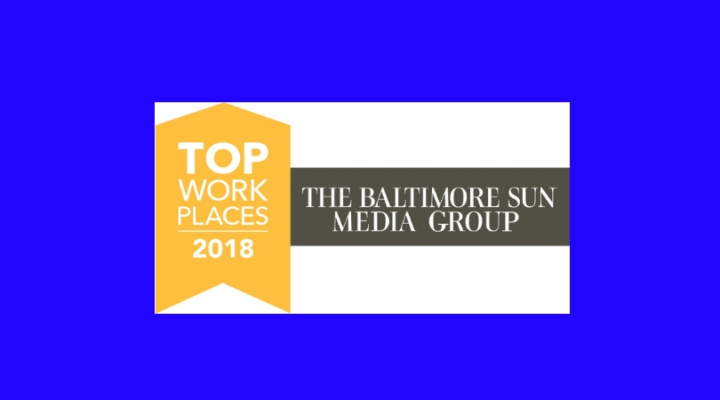 ​We are proud to announce that St. Joseph School - Fullerton has been awarded a 2018 Top Workplaces honor by The Baltimore Sun Media Group. 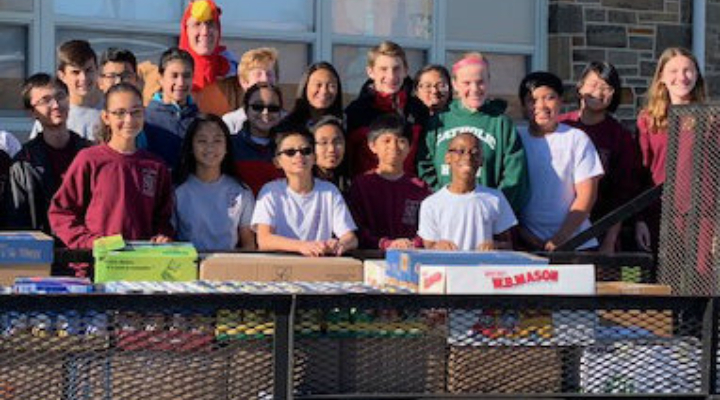 Thank you SJS families for donating over 6,000 canned goods for those in need this holiday season! Were you unable to attend the Parent Breakfasts in September? Here are the slides from the presentations. Take a look at our new constituent newsletter, The Pack Press! 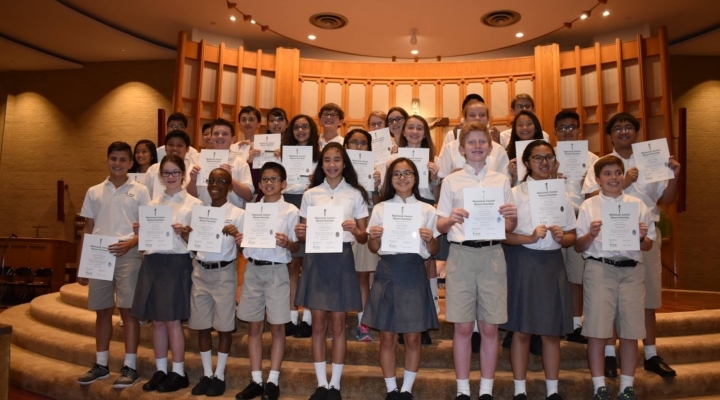 Congratulations to all of our students who were inducted into the St. Joseph School Chapter of the National Junior Honor Society on September 27, 2018.